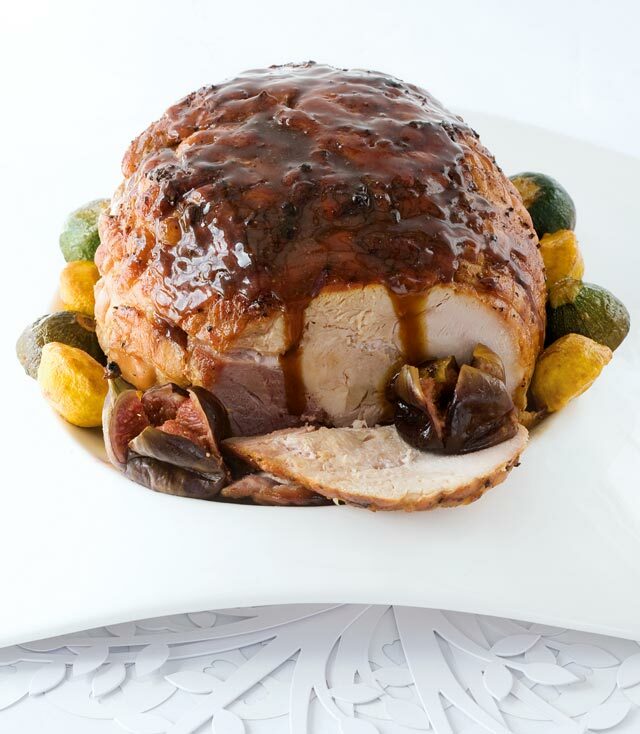 A royal roast refers to a turkey stuffed with a duck, stuffed with a chicken. You can go to the effort of deboning your own birds or take a short cut and buy an already made ‘turducken’. Place the carrots, onion, celery, garlic and chicken stock in a roasting tray. Place the turducken on top of the vegetables, drizzle with a little oil, salt and pepper and roast according to weight (see How To Take Two on page 136). Towards the end of cooking, pour off the liquid and reduce until thick. Place figs in the roasting tin with the roast and drizzle with vino cotto. Return to the oven until caramelised. Serve with duck-fat roasted potatoes, steamed seasonal vegetables and reduced pan juices. Do it South African-style and braai the roast in a foil roasting tray on the Weber.